Well time had finally caught up with me and the constant back ache meant I needed to change my trusted 2011 Fireblade not an easy decision as I’m old school and loved the idea of having no ABS, Traction Control or any of those electronic gizmo’s that are supposed to keep you upright and safe surely that’s down to me the rider. 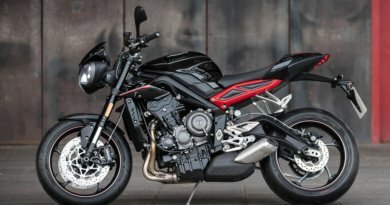 While I knew all the sports bikes I wanted and dreamt of I knew this was about the sensible over 50+ year old decision we all have to make and let’s face it some of those adventure bikes aren’t that pretty (well to me). 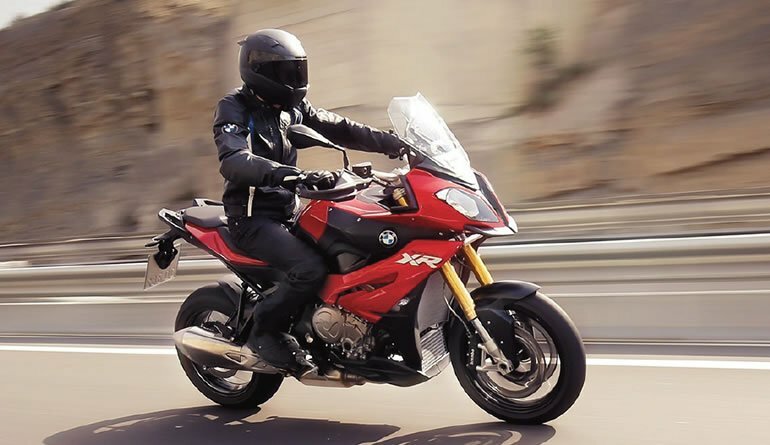 BMW call the new S1000XR an “adventure sports bike” and let’s face it BMW have some pedigree nowadays with the S1000RR and R so I arranged the test ride with Max and the boys at BMW Rednall and the rest is history. I’m now 2,000+miles into our relationship and I’ve only had it since the end of January, the bikes infectious to ride need I say more. While it’s not the prettiest of bikes its makes up for it on the asphalt, once you’ve flicked the starter switch and heard the burble of the engine note you know you’re in for a treat. The 2017 four-cylinder in-line engine delivers an impressive (165 HP) at 11,000 rpm and develops a torque of 114 Nm at 9,250 rpm. 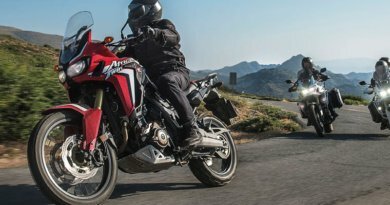 The liquid-cooled four-cylinder in-line engine provides an abundant torque, particularly for the desired punchy acceleration at low and mid-range engine speeds. 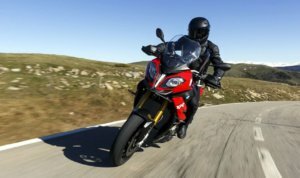 The bike has four power modes, Rain, Road and Dynamic with Dynamic Pro available but not from the switch control as it disables lots of the electronics so far to hot for the likes of me. I have been mainly riding in Road mode especially as we travel on plenty of B roads but this still gives you the full 165bhp with the advantage of a soft plush ride. 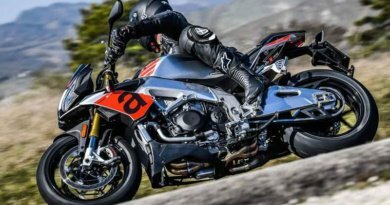 The bike comes with cornering ABS and Brembo brakes and I must say you can scrub some speed with the bike mid corner (well I do) without it lifting and drifting off line and while I know it’s slow in quick out this gives greater re assurance. The gear shift pro is excellent and creamy smooth up and down the box so need for the clutch only to select first gear, which is a stretch on the left hand. The 20 litre fuel tank gives a range of about 150miles but I’m yet to test it but I’m sure it will go further when I head down to Slovenia this year. I can honestly say when I’m out and about on the 2017 model there is no noticeable vibrations from the handle bars or foot pegs and after my last escapade of just over 300 miles in a day no back pain either just a grin on my face. While we have a glut of new KTM owners in the club and they all think the futures Orange, the real future is now Matt Ocean Blue (new colour for 2017) or as some say Cadburys Whisper Blue…..see how many you spot on the next FMR. even a Honda Blackbird please feel free to send me a write up.